Even though my mind wasn’t really in baseball mode after the crap that happened in Brussels yesterday (Brussels is across the border about an hour from where I live, so it is getting very close), I still wanted to see the historic game between the Cuban national team and the Tampa Bay Rays. Overall the game itself wasn’t that exciting as the Rays were too strong without really flexing their muscles. The result also shows that Cuban baseball has deteriorated in the past two decades. Not only because of all the defectors but also because the highest league in Cuba is simply too big for the number of talented players. 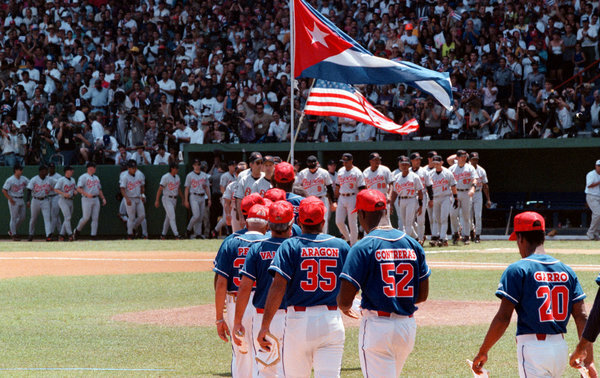 Back in the nineties, when Cuba played the Orioles, the team managed to win one game. The Tampa Bay Rays and even President Obama will be in Cuba later this month while the Rays take on the Cuban National team. Something of this magnitude that has not occurred in almost 20 years, when the Baltimore Orioles played an exciting two-games series there in 1999. And even then President Clinton was not in attendance. The Rays will fly into Cuba on March 20, hold an exhibition clinic on the 21st and play the Cuban National Team at Estadio Latinoamericano in Havana on the 22nd before returning home to the United States. Okay Angels: Why Not Sign Both Gurriel Brothers? Since the Angels are not eating at the ‘big boy table’ anymore the recent defection of Yulieski Gurriel and his brother Lourdes Jr. may have just provided a decent alternative. I want Cuban star prospect Hector Olivera to go to either the Giants or the Marlins? Why? Because I want those two franchises to elbow their way into an All Time discussion for consistency as World Series champs… and I want that to make Yankee fans angry. It is a very petty episode of The Sully Baseball Daily Podcast. If the United States will open up their diplomatic relations with Cuba, the effect on the baseball talent pool could be gigantic. It is a Cuban themed episode of The Sully Baseball Daily Podcast. 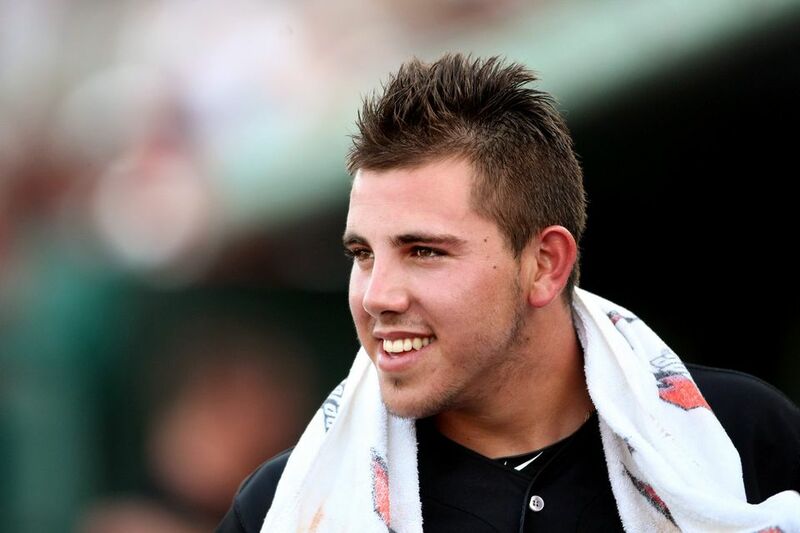 Just two years ago, Marlins SP Jose Fernandez was pitching for Alonso HS in Tampa, Florida. His story of how he came to the United States is absolutely astonishing and incredible as he defected from Cuba via boat , and then ultimately was part of a rescue effort in the water to save his mom’s life, when she fell overboard in 2008 as a teenager. He is 20 years old now, and one of the premier Starting Pitchers in the NL. Even though the trade deadline has already passed, it’s always interesting to evaluate pitchers based on their trade value. Using age, experience, potential, contract, and reputation as guidelines, I ranked the current Miami Marlins starting rotation. Tom Koehler, Jose Fernandez, Henderson Alvarez, Nate Eovaldi, and Jacob Turner are the Marlins starting five and Miami has no real reason to trade any of them in the near future. However, if they were to consider trading one of these pitchers, here’s how I feel other teams would rank these pitchers’ trade values. Cespedes has struggled this year – hitting for a 3 Slash Line of .212/.283/.748. However the team always better when he is in the lineup. They were 4 – 10 with the big fella out of the Lineup. Cespedes left last nights game with an illness – after cracking his 7th HR. With the longball Monday night, Cespedes now has hit 31 HRs and driven in 101 RBI in his 1st 155 Games and 586 At-Bats. Billy Beane signed him as a Free Agent last winter – prior to the 2012 year. He finished 2nd in Rookie Of The Year Voting and 10th in AL MVP Voting. His salary at 4 YRs/$36 MIL deal looks pretty good right now. He made $6.5 MIL last year, will make $8.5 MIL this year – and will earn $10,5 MIL for both 2014 and 2015. The Athletics will enter game #41 at the record of 20 Wins and 20 Losses. Last nights win was a sigh of relief for the Oakland club and their fans. After taking 2 out of 3 versus the New York Yankees in the Bronx last week, they were swept in Cleveland in a 4 game series (including that debauchery of a call by Angel Hernandez on the Adam Rosales Game Tying HR) – before losing two of three to the Seattle Mariners. The A’s have seen their quick start of 12 -4 turn into a barely .500 season thus far at 20 – 20. 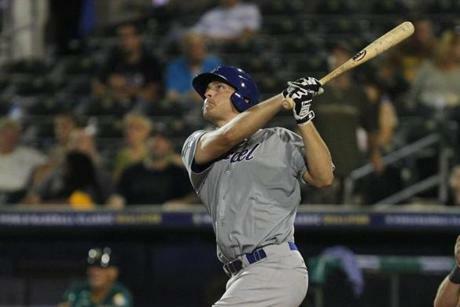 All Nate Freiman did was carry the Country of Israel during the recent World Baseball Classic Qualifying Tournament. Can this First Base giant do the same in Oakland? Baseball is a funny game sometimes. One minute you’re crying the Chris Carter blues. Then before you know it, Nate Freiman appears. That is how Billy Beane works my friends. Just when you think he might be slipping, he pulls a magic rabbit out of his hat (better known as the waiver wire in baseball terms). On February 11, 2013, I wrote an article outlining Billy Beane’s error in trading Chris Carter. While I have always endorsed the talents of Jed Lowrie, it was my opinion that giving up a future star in Chris Carter was too high of a price to pay. The trade (which actually took place on February 4th) saw the Astros acquire yet another stud First Base prospect. I wondered out loud what the Astros would do with all their First Base talent (Brett Wallace, Jonathan Singleton, Nate Freiman and veteran Carlos Pena). It seemed like too many bats and not enough positions in Houston, despite the newfound need for a Designated Hitter. A little over a month later, March 23rd to be exact- I had my answer. Nate Freiman was on his way to Oakland. The star for Israel in this year’s World Baseball Classic qualifying tournament was going to get the opportunity of a lifetime. While some felt the A’s were simply acquiring roster depth, I saw a different vision. The A’s had their replacement for Brandon Moss at First Base. Billy Beane had an uncovered yet another gem that was going to thrive in Oakland. Remember Josh Reddick 2012? Meet Nate Freiman 2013. From Cuba to A.L. MVP? Despite not being able to represent his native country in the WBC, Cespedes is a year older and wiser. The more he adjusts to North America life and baseball, opposing pitchers will shudder even more each time Cespedes comes to the plate. It’s pretty ironic if you ask me. The 2013 World Baseball Classic is here and Cuba is off to a huge start. I had to pick a winner and went with Cuba as my pre-tournament favorite. Considering that Japan has won both editions of the WBC, Cuba was definitely going to be in tough. To top it all off, they are starting off the first two rounds in Japan. Why is it ironic? For Cuba is missing its biggest star for the tournament. Yoenis Cespedes, the Oakland A’s star outfielder is in Arizona for Spring Training. Far away from the bright lights of Japan, where Cuba finally beat its nemesis this week in WBC play after several failed attempts in the past. With that monkey off their back, Cuba has made the statement that they are ready to win it all. But yet without their biggest star. For when one defects from Cuba, they are forever banished from representing their country again in any baseball capacity. I couldn’t help but think watching Cuba play in Japan this week that in fact Cespedes and the A’s opened their season last year in Japan. Cespedes actually started off his season with a bang out there and never looked back. 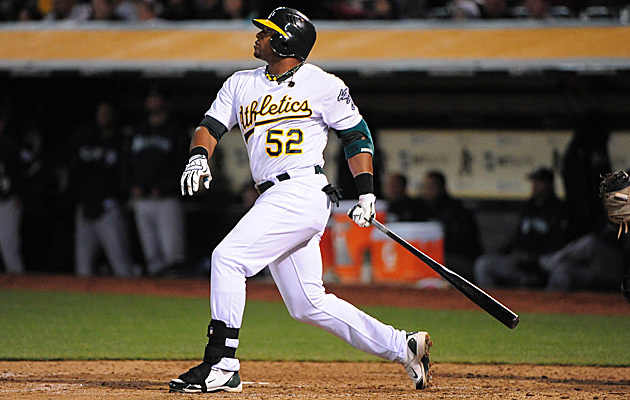 On March 29th last year, Cespedes had a home run in the 2nd game of the A’s young season. That bomb in Japan was the start of the legend. Who knew that Cespedes would actually be in Japan a year too early? For all the success that Cuba has enjoyed thus far in the 2013 WBC, imagine if they had Cespedes anchoring that lineup? Cuba may very still win the 2013 WBC. My money is on that happening. But if Cuba falls short yet again, the what if scenarios will endlessly get bounced around. What if the team had Aroldis Chapman? Alexei Ramirez? And most of all, Yoenis Cespedes? Until Cuba allows its defectors to come home again, the talent drain will continue to affect the country in international tournaments. With the World Baseball Classic starting not too long from now, it’s time to preview all of the teams and their individual superstars. Group A is perhaps the most talented division. Japan, China, Cuba, and Brazil will make up the structure of Group A, which will begin play in Fukuoka, Japan on March 2nd. This division appears to be one of the strongest and definitely one of the most interesting. ATR: Ask the Reports Answers Your Baseball Questions: The Yoenis Cespedes Showcase Video, Evolution of the Yankees, Swisher to Boston and More! Posted every Weekend: Your top baseball questions from the past week are answered. E-mail all questions to mlbreports@gmail.com, message us on Twitter, post on our Facebook Wall and leave comments on our website! There are many ways to reach us and we will get to your questions from all social media outlets! Jonathan Hacohen: Baseball, much like life, is always full of change. Just think of all the changes that Major League Baseball has undergone during the past few years. Expansion. Realignment. Wild Card. Second Wild Card. Luxury Tax. Home field advantage in the World Series from the All-Star game. And to think, that this is just the tip of the iceberg. The Astros are moving next year to the AL West. Daily interleague play. The Athletics may move to San Jose. There is no doubt that the baseball we knew once upon a time is gone and buried. We are in a new golden era of baseball, one that promises to continue to evolve and thrive. Much like the sport it covers, MLB reports is on the same fast track. If you follow MLB reports daily (which you DEFINITELY should), you have noticed the changes that we have enjoyed over the past few months. New writers, pages, website format- if there is one thing that we don’t do here, is sit on our hands. We recently had Kyle Holland come on board as our Baseball Intern and Alex Mednick as a Baseball Writer and Analyst. Haley Smilow is on board as our MLB Junior Correspondent. We have a diverse stable of writers, all with different experiences and styles. That raises the bar on the content that we bring you each and every day on MLB reports. We love our team, which continues to grow all the time. 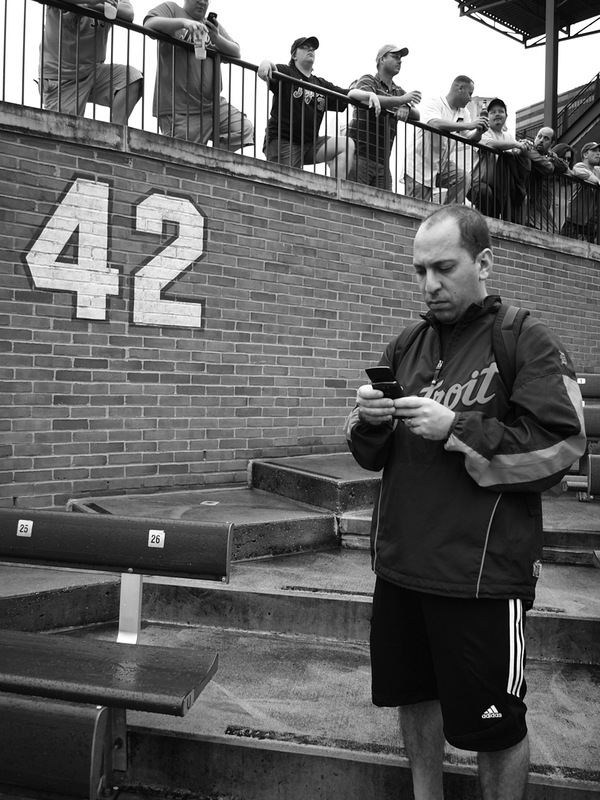 We have a devoted Cooperstown page, featuring our Cooperstown Correspondent, Patrick Languzzi. Love Fantasy Baseball? Peter Stein has you covered every week highlighting his fantasy baseball notes and advice. Our Fantasy Baseball page features Peter’s work. Lead Writer Chuck Booth, a Guinness World Record holder in baseball travel brings you exciting and informative articles every Wednesday and Friday night. The list literally goes on and on. If it involves baseball, MLB reports has you covered. We feature at least two articles per day, posted at the start of each day around 9:00am ET and in the evening at 8:00pm ET. Life gets busy- we know that. We strive at MLB reports to always have an article ready on your computer to go along with your morning coffee at work, and a feature in the evening while you unwind. Plus you never know when surprise bonus features will hit our site next. When we say MLB 4 Life, we meet it! Make sure to follow @mlbreports on Twitter and to subscribe to our website- http://www.mlbreports.com. The link is at the top of the site. It’s free. And it’s an excellent investment in your baseball knowledge! With all the exciting changes at MLB reports, the truth is… that there is even more to come. We always are on the lookout for bright new talent. New concepts. New topics. Just like MLB, we always want to improve and evolve. But it’s a gradual process. Starting Monday though, you will see that we will be adding a new something to MLB reports. I can’t tell you what…I’m very sorry. But you will find out very soon. My advice? Bookmark mlbreports.com and/or make it your homepage. Get into work on Monday October 22nd. Grab a cup of coffee and turn on your computer. When your boss thinks you are working, you will be preparing for our feature of the day. At 9:00am ET, you will find a new addition to MLB reports. It is both different and exciting. The feature is called “The Interview of a Lifetime” and one that you certainly cannot miss. Get ready to be shocked, entertained and informed. The best part? This is only the beginning. I feel like the Riddler…and have already said too much…. 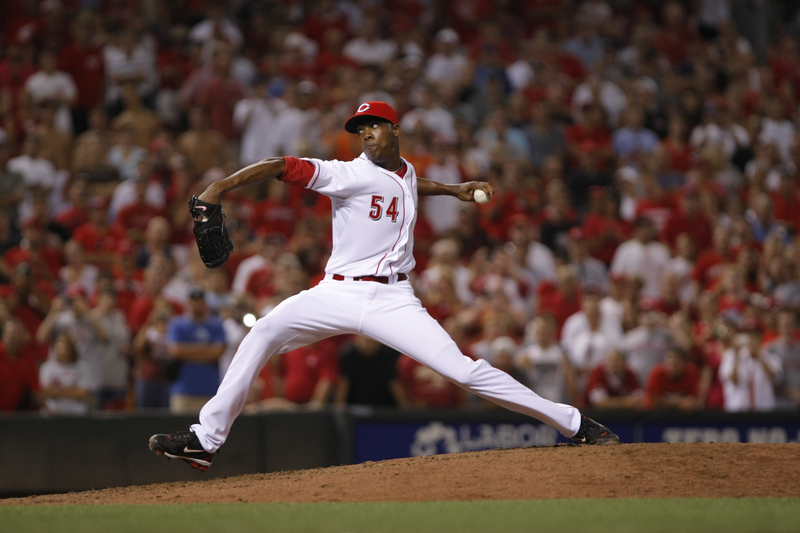 Should The Reds Convert Aroldis Chapman Into A Starter? Jake Dal Porto: When people discuss dominant pitchers, usually Aroldis Chapman enters that discussion rather quickly. And for good reason. 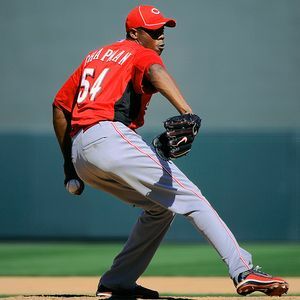 His zipping fastball and wicked slider to back it have paved a path of success for Chapman in 2012. The southpaw owns a 1.60 ERA and has picked up 35 saves in 40 chances. It’s safe to say that he’s been all of what the Reds thought he was going to be to-date…and more. Jonathan Hacohen: For all the talk of Mike Trout as the sure bet for this year’s A.L. ROY and possibly MVP awards, a name that does not get thrown around enough is that of Yoenis Cespedes. Heard of him? I’m sure you have. 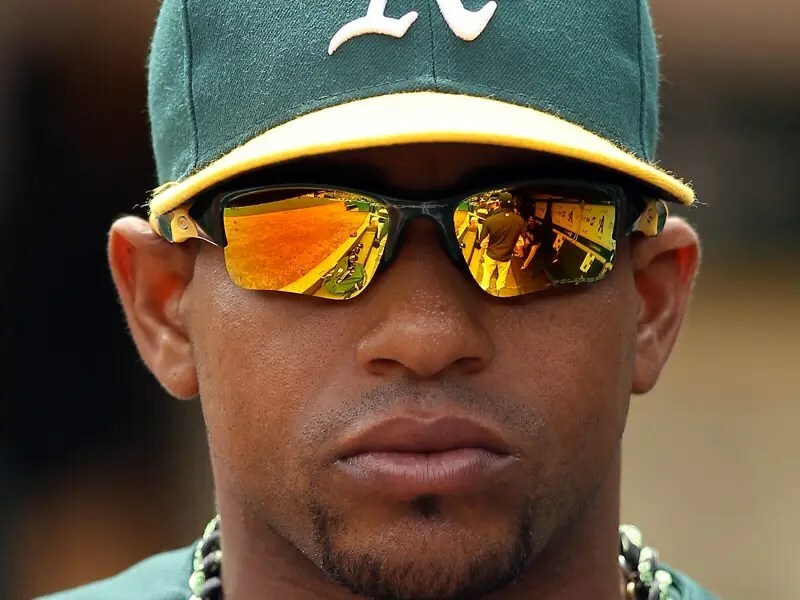 The Cuban sensation, who went almost overnight from a YouTube prospect star to the A’s best hitter. The baseball world has not forgotten about Cespedes. But it seems like for all the attention Mike Trout is getting, Cespedes is not getting enough baseball love. Given Trout’s numbers, it’s not hard to see why. The kid hailed as the next Mickey Mantle has delivered and then some. Trout leads the league with a .343 average. Scored 96 runs and stole 39 bases. Obscene numbers for any MLB player in August, let alone a 21-year old. What makes Trout even more incredible is that he is doing it at home and on the road. Check his splits- almost identical. But then Trout does get to enjoy the lineup protection of Albert Pujols, Kendrys Morales, Torii Hunter and the rest of the Angels lineup. Aroldis Chapman’s Unbelievable Start: Star Closer or Future Starter? Bernie Olshansky: As the season winds on and we begin to approach the All Star break, many players who had hot starts have come back to reality. The Cincinnati Reds’ Aroldis Chapman, however, has not. In 24 games this season, the native of Cuba has given up only seven hits and yielded just one run (unearned) in 29 innings pitched. He posts a 52:9 strikeout to walk ratio—which translates to a ridiculous 16.1 strikeouts per nine innings pitched. Against Chapman, hitters are hitting a miniscule .076. He has officially been named the Reds’ closer and has recorded six saves. If he could sustain these numbers, Chapman could be a legitimate Cy Young candidate (even as a reliever). 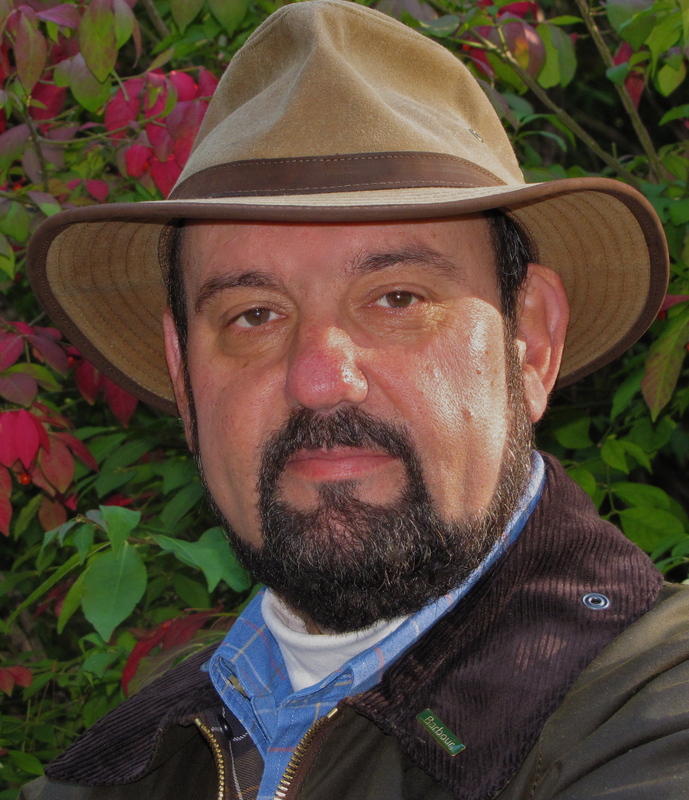 Jonathan Hacohen: Ask the Reports is back! After some thought and re-branding: we have decided to drop the E-mailbag moniker and to keep this section as “Ask the Reports”, which will appear every weekend. E-mails is but one form you can reach MLB reports. You can follow us on Twitter and tweet and direct message your questions and comments. You can “Like” us on Facebook and write on our wall. You can also leave all questions and comments at the end of each article and page on the website. With social media exploding as it has, we are truly connected in so many ways. So keep reading MLB reports. Everyday. Twice a day or more if your schedule allows it. Subscribe to the site to have all current articles sent to your e-mailbox. But most of all: participate. Send tweets. Write on our Facebook wall. Comment on articles and leave feedback. MLB reports is for you: the readers. The love of baseball is best nurtured if enjoyed as a community. So don’t be shy. Get in touch with us as often as you can. Let your voice be heard on our Facebook wall. There is nothing better than an old-fashioned baseball debate. We call it MLB4Life on Twitter because we all love baseball for life. Baseball is more than a passion. It is a lifestyle. Thank you for enjoying MLB reports and we look forward to hearing from you. Plus you never know when your questions will be answered in “Ask the Reports”: so keep checking and asking your questions every week! 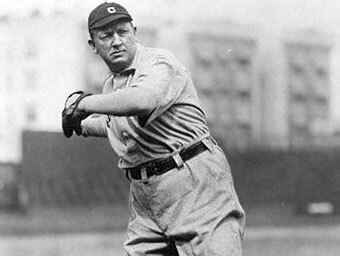 Denton True Young (aka Cy Young). Born March 29, 1867 in Ohio. Threw right-handed, stood 6’2″ and weighed 210 pounds. He played for 22 seasons: 1890-1911. He finished his career with a 511-316 lifetime record. He actually had 5 seasons of 30+ wins. 36 in 1892 and 35 in 1895 being the career highs. The man pitched in 906 games, starting 815 of them. He threw 7356 career innings. Ponder that one for a minute. He had 5 seasons of 400 + innings and a dozen more seasons of 300-399 innings. 17 years of 300+ innings pitched. If a modern-day pitcher were to pitch 200 innings per year for 20 years, he would reach 4000 innings. About half of Cy Young. That says a lot to me. In the modern age, the only person that will come close to pitching those kind of innings was Nolan Ryan. The Ryan Express pitched for 27 seasons. 807 games, 773 starts. 5386 innings pitched. Career record: 324-292. So to win as many games as Cy Young, you would need to win 25 games per year for 20 years. An impossible feat in today’s modern game. A pitcher would need to start 35-40 games and pitch 300-400 innings per year. With closers, middle relievers and the stats of MLB bullpens, teams will not allow their starters to go deep into all those ballgames. A “quality” start is 6 innings pitched. At 30+ starts per year, most starters today are lucky to crack 200 innings. Without the starts and innings, starting pitchers have less and less chances to stay deep in games to win. Plus pitchers need offensive support and health to stay on the field and have a chance to gain wins. Teams have 5-man rotations and also skip or push back starts during the season. We will never see another Cy Young. Not the way baseball is played today. A: I could see Burrell taking time off from the game. Counting his dollars and maybe taking in a party or two (rumor has it that he is somewhat of a ladies’ man…). But given his quality eye at the plate with pop, Burrell clearly knew a thing or two about hitting in his day. Almost 300 home runs and 1000 walks do not happen by accident. When Pat the Bat is ready to return to the game, he will join the Giants or Phillies likely as a minor league hitting instructor, or full-time hitting coach. If he can show he can coach in the minors, you could see him as a hitting coach or 1st base coach one day in the major leagues. Pat the Bat has a future in baseball- provided that he can teach and work well with the kids in helping them develop their abilities at the plate. 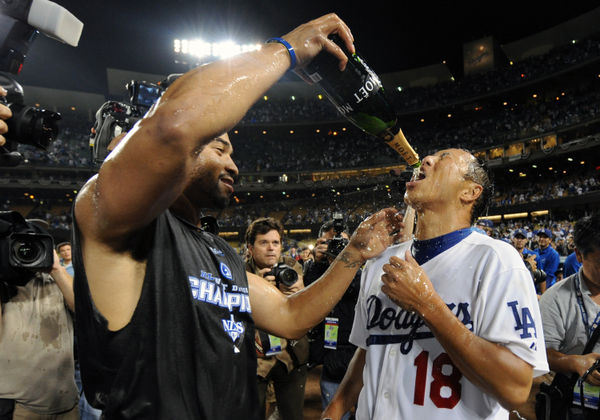 A: They did call Matt Kemp “Baby Manny” for a reason. The Bison has always been highly touted coming up with the Dodgers. For the last 2 seasons going into this year, some of that promise was starting to show. Campaigns with 26 and 28 home runs respectively will catch people’s eyes. Kemp looked like a .290 hitter with 20+ home run pop. Pretty good- but not a superstar. Then in 2011, Kemp simply exploded. He led the league with 39 home runs and 126 RBIs, a difficult feat considering he had little support in the lineup and played his home games in a pitcher’s park. With a .324 average, we nearly had a triple crown winner. Kemp had a .399 OBP and .586 SLG. Superstar numbers. I am torn in analyzing him. He was a year away from free agency. Is he worth $20 Million per year for 8 years? That is all relative. Here is how I can best put it: what if Kemp would have hit .290, with 25 home runs with 90 runs and 90 RBIs in 2012 and hit free agency? Would he have received the same deal? Very likely. At that point would the Yankees or Red Sox given him 7 years and $140 million to sign? Carl Crawford got that same deal last year. At 28 years of age, Kemp has shown good health and appears to be in great shape. To say he is able to keep this pace until 35-years of age is not a stretch. At worst, Kemp would have landed $15 million per season for 7 years, a total of $105 million. So my thoughts are that the Dodgers would have needed to pay him $20 million for 2012 regardless. By signing him early, they may have overpaid by $35 million over the life of the deal. Or Kemp could have signed for $5 million per season on the open market (if no other alternatives) and cost an additional $35 million. In a perfect world, it would have been nice to have seen more 2011-type seasons from Kemp before handing him this type of contract. But given his fairly strong track record, health and young age, the Dodgers needed to lock him up now or risk very much losing him after 2012? Did they overpay? Not much by free agency standards. Even if they overpaid by $30 million over the life of the contract, as long as Kemp continues to stay healthy and produce great to strong numbers, this was a deal that had to get done. With the ownership turmoil and inability to attract and keep key players, this signing sends a message that the Dodgers are “back in business.” Exactly what the fans want to hear. A: There are approximately fans from 30 MLB teams that are hoping their teams will make a push for the 2 likely biggest international free agents. Yu Darvish from Japan and Yoennis Cespedes from Cuba. While Darvish will need to be posted and bid upon, Cespedes once declared would be free to sign with any team. At 26-years of Cespedes is reported to be major league ready. Viewers of his YouTube video are excited at his abilities at the plate. He will reportedly cost in the $50 million range to sign. 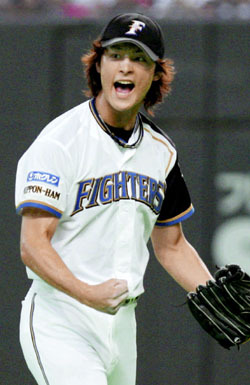 Darvish, at 25-years of age, is one of the most highly touted pitchers ever to come from Japan. If he is posted (which is still a big-if at this stage), Darvish is likely to cost north of $100 million (with the posting fee) to sign. Will the Jays sign either or both? My answer: no. Not because the team is not competitive. Far from it. But because they will not throw a lot of money on risky propositions. Neither player has played a single inning of Major League Ball. No matter how each has fared competitively to-date, few could predict how their games will translate to the major leagues. The Jays are already stacked in the oufield, with Bautista, Rasmus, Snider and Thames to choose from. Edwin Encarnacion is even being tried out in the outfield in winterball. Anthony Gose is also a young hot-shot prospect that will be landing in Toronto soon. The Jays do not have a strong need for an outfielder and certainly will not want to devote a large portion of their budget to an unknown like Cespedes. Especially given the mixed track record of Cuban hitters thus far in the majors. The Jays’ budget would be better spent on pitching. But to pay $50 million to win the Darvish posting and then sign him for another $50 million, that could translate to $20 million per season for 5 seasons. That is insanity money. At that point, I would rather sign C.J. Wilson for 5-years $100 million. A far more certain return. 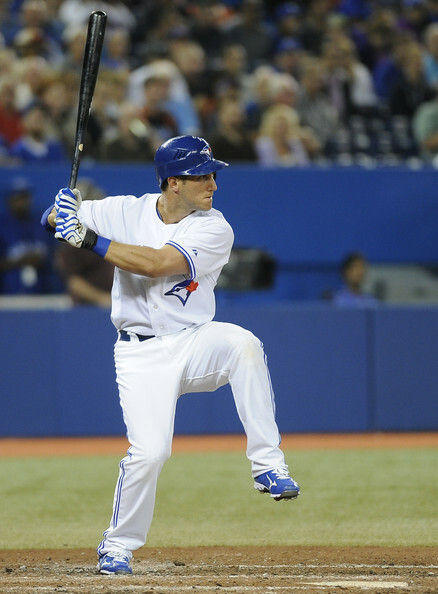 The Jays will pick up a strong DH bat this offseason, perhaps a new first baseman and 1-2 new starting pitchers. They will be shopping. But no mail-order-players are likely coming anytime soon to Toronto. A: Time to change schools? If any of your classmates are baseball fans, they must not watch the Tigers very often or simply fail to grasp the horrible play of Inge. I rarely use the word “hate”. 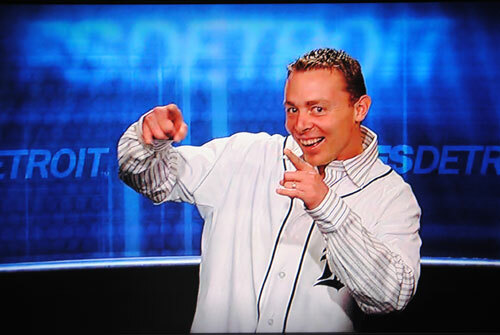 But as a Tigers follower (yes…they are my team), I do not have the time of day for Inge. The team has him signed for 1 more season at $5.5 million and a team option for $6 million in 2013 or a $500K buyout. Expect the buyout. I get that he is a great team guy, and blah blah blah. In 144 games in 2010, he hit .247 with 13 home runs. Looking at his numbers, he had a great year in 2006 and 2009. That is it. But yet the Tigers have him signed through to 2012. Last year, Inge hit .197 with 3 home runs and earned himself a trip back to the minors. At 34-years of age. He is done. Done as dinner. Stick the fork in him. 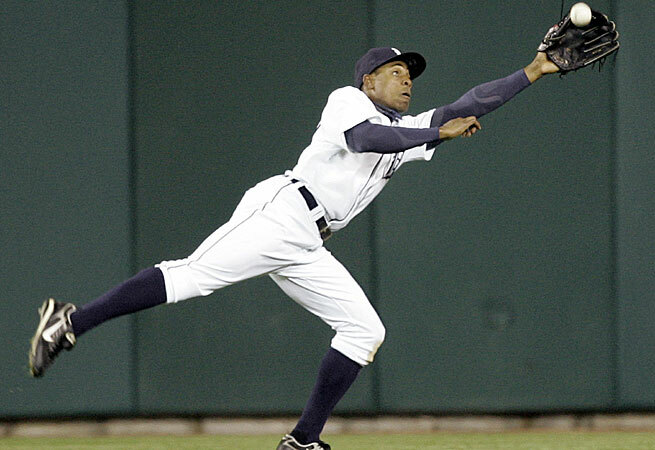 One of the most gifted defensive players that I have ever watched, he could do it all with the glove. Perhaps he sticks around as a late-inning defensive replacement. He is a good emergency catcher and strong third baseman. But his career as a full-time player is over. If the Tigers are prepared to leave him on the bench and mentor the young players, I am all for it. 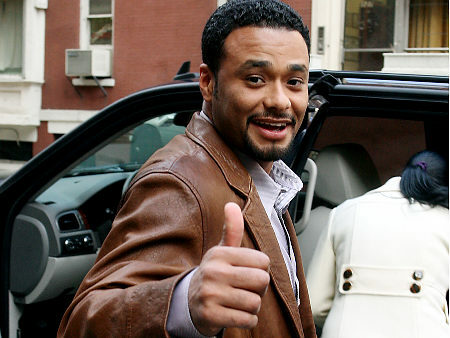 But otherwise, they need to hang onto Ramon Santiago and simply let the Inge-era end. Brandon Inge has cool tattoos and has provided some spark hits through his career. Its time for the Tigers to thank him for his contributions and move on. Thank you Ashley for understanding. I feel your pain. MLB reports: In part 3 of my impromptu 3-part feature on Cuban baseball, I am featuring Antonio Castro Soto del Valle, team doctor for the Cuban national team, Olympics and WBC. Dr. Castro, a top orthopedic surgeon in Cuba, just happens to be as well the son of Fidel Castro. Fact or fiction you may ask? Fact. The story of Castro is one for the baseball ages that I first stumbled upon during the 1996 edition of the World Baseball Classic that I will be sharing with you today. One of my favorite parts of baseball is the obscure news items and pieces of information that are out of the “normal” realm. The Glenallen Hill arachnophobia incident, when Chuck Finley was attacked with a female pump by his then-wife Tawny Kitaen, Wade Boggs eating fried chicken before every game…well, you get the idea. One part of the 1996 Cuban WBC team really stuck out in my mind at the time. It seemed that every time Cuba was about to change a pitcher, the team manager for Cuba was always consulting with team physician. In fact, the doctor was talking to the players before and after at-bats, sitting down with pitchers between innings and jumping out of the dugout to be the first person to congratulate the players as Cuba scored each of their runs. This seemed a little strange in mind, so I tried to focus on the team doctor to get the scoop. Looking into the Cuban dugout on the television, I further noticed that the manager never left the team doctor’s side. The team doctor further seemed to enjoy talking on his cellular phone, even during games. By the time the 1999 edition of the classic was upon us, I figured out all the mystery behind Cuba’s team doctor. Only a one-word answer was required: Castro. Dr. Antonio Castro Soto del Valle was apparently a great athlete in his day and played 3B in Cuba. Much his like father Fidel, a pitcher with a legendary curveball (See the book Castro’s Curveball, by Tim Wendel), baseball was always in Antonio’s blood. But apparently baseball was not in the boy’s future, much like his father before him. Fidel gave Antonio 2 choices: go to medical school or fight in the military. Wisely choosing medicine, Antonio grew to become one of Cuba’s top orthopedic surgeons. 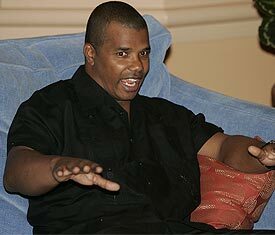 But his fame and popularity have evolved from his role as the physician for Cuba’s baseball national teams. Before games, Castro is often spotted signing autographs for fans and taking pictures. The connection between the name “Castro” and baseball is too rich for most diehard fans to pass up. Extending beyond medical capabilities, the issue on my mind is the true part that Antonio plays with Cuban baseball. Further, the extended role of Fidel on the team through his son. The likelihood of the Castro connection in managing and controlling the Cuban team is too high to ignore. In all the interviews with Antonio Castro that I have read, he has always denied direct or indirect involvement in managing the Cuban baseball team. Further inquiries as to whether Fidel contacts him during games to advise the manager of the team has always been responded to with laughs and denials by Antonio. However, if you go back and watch any of the Cuban WBC games, the sight of Antonio on his cell during games and speaking with the manager throughout is one that seems very murky to say the least. If I had to hazard a professional guess, I would say that the Cuban manager was rarely if ever making a move without some form of feedback from Castro. To the naïve or unknowing viewer, Castro would appear to be a bench coach, hitting or pitching instructor based on his role in the dugout during games. I will admit that I made this mistake during my first observations of Castro. In fact, I can even recall watching Castro making a mound visit during a game to speak to the pitcher without any medical or injury concerns. Much pressure on any pitcher, as the feeling would be as significant as if Fidel himself was speaking to the pitcher. Cuba is faced with a significant loss of talent to the MLB through defections. Articles I have read have indicated that based on his age (late 30s) and strong rapport with the players, Antonio Castro has the unofficial role of raising the morale of players and reducing defections. There has even been talk of Cuba moving to a system of taxing its players’ salaries in exchange for the permission to leave Cuba and pursue professional baseball in other countries. Antonio Castro in fact, is one of the leading proponents for this system. With the U.S./Cuba trade restrictions, such a system may be impossibility, but the mere fact that a Castro is leading the push for reform appears to be a good sign for Cuban baseball. Taking the above roles in baseball out of the equation, the hiring of Fidel Castro’s son as the team doctor for the Cuban national team boils down to a very simple logic and explanation in my mind. By seeing Antonio Castro in the dugout and field, the players cannot help but work harder and play stronger. Having Castro travelling with the team and in the hotels likely serves as a deterrent or hindrance for many players in their mind from defecting. Do I think that Fidel talks to his son during games on his cell phone? Without proof, I would answer without a doubt. Do I think that Antonio talking to the manager during games is in reality Fidel giving instructions to the manager? Absolutely. If Billy Beane was able to contact his managers during games as discussed in “moneyball”, I cannot see why Fidel would be any different. Cuba is ruled by a dictatorship, why should its baseball team be any different? Don’t get me wrong. I love Cuban baseball to its absolute core. I would rather view a Cuba Series Nacionale game than an MLB game any day of the week. I am a passionate major leagues supporter, but Cuban baseball is played at a much different level and intensity. The players will do whatever it takes to pull out wins and the managers will not hold back any punches in the process. Cuba embodies everything that is professional baseball, especially through the Castro family. You may agree or disagree with Cuba’s political stances and approaches, but its game of baseball is still the same as ours. Only Cuban baseball is played in the same way the game was played in our neck of the woods many years ago, in an era long gone by. Dr. Antonio Castro is a similar throwback to the glory days of baseball, as was Ariel Pestano and the use of pitchers in Cuban baseball featured in the previous 2 parts featured on MLB reports. If you have never seen Antonio Castro before, check out some of his team’s games. Otherwise, I trust that you are now more familiar with Cuban baseball after reading these features and were able to see that there is more to the game and culture of baseball outside of the MLB. MLB reports: You may not know the name, but you will recognize the player. Ariel Pestano (Valdes) was considered one of Cuba’s greatest catchers of all time. In actuality, likely one of THE best catchers ever. Pestano, known in his country at “the veteran”, has been a Cuban baseball staple for the past 10 years. Debuting with the Cuban national team in 1999, Pestano played in the Olympics and both the 1996 and 1999 World Baseball Classic for Cuba. By retiring in 1999 after the last WBC, baseball has lost a legend and a throwback to an era that is slowly disappearing. In an age of generic players and cookie-cutter approaches, Pestano was one-of-a-kind. I was first introduced to Ariel Pestano in the 1996 WBC and could not wait to see him again by the 1999 edition of the Classic. In comparative terms, it is hard to point to a past or present major league catcher that mirrors Pestano. I find it difficult to looking at his Cuban numbers and calculating the value of his play. Offensively and defensively, the man could do it all. But rather than judge him by numbers in a league unknown to me, I place my consideration in what I saw with my own eyes. If the WBC editions were any indication, Pestano could play ball. A patient hitter with pop, I could see him hitting 20 bombs in the major leagues if given the opportunity. A cannon for an arm, he knew how to keep runners honest and distract hitters from getting good hacks at the plate. But his true value was in his leadership. Pestano was like a general on the field, leading his team to war. Pestano was not afraid to get into the face of an opposing player or teammate if he felt that his team was being disrespected or not playing to its capacity. His approach made for great television viewing, no doubt, but his teammates were better for having him behind them. A big problem in baseball viewership and fandom today is the reliance on the fantasy aspect of baseball, mainly statistics. I love researching OPS and WHIP as much as the next baseball junkie, but real baseball has value outside of the “moneyball” approach. I recall a pitcher on the Cuban team in one WBC game in 2006 giving up repeated hits. At one point Pestano literally ran to the mound and was about to clobber his starting pitcher. I could not understand what he was saying, but you could not put a pin between the pitcher and catcher. Pestano was literally in the pitcher’s face reading him the riot act. While many critics would call such a move “unprofessional”, “bush-league” and “showing up your pitcher”, I actually enjoyed the accountability and passion that Pestano was demanding from his teammate that day. Those types of moments do not show up in box scores the next day, but live on with a team forever. If you have never seen Ariel Pestano play a professional baseball game, download a World Baseball Classic game on your computer involving Cuba from either 2006 or 2009 and watch the man behind the plate. Chances are that you have never seen a player like this before and will never see one again. Pudge Rodriguez has had his moments through the years, but has simmered down. But in truth, he never had the intensity and life/death mentality that Pestano displayed on the baseball field. Taking aside the armed guards with machine guns in the dugout, I have always found Cuban teams to play with heart and pride. I recall a Cuban pitcher one game running out to the field to yell at an outfielder after misplaying a ball. When a pitcher in any inning/situation gives up even 1-2 infield hits in a game, chances are the Cuban bullpen will be up and running. I don’t recall ever watching a Cuban game where the bullpen wasn’t going with at least one pitcher for nearly the entire game. This is how seriously Cuba takes it baseball and this mentality was embodied fully in Ariel Pestano. My WBC Cuban heroes, Pestano and Lazo are unlikely to ever defect and join the MLB. Both recently retired and based on their respective ages and devotion to Cuba- defection is unlikely, if not impossible. Pestano retired to apparently work and train his son, who like his dad is a catcher. The best of luck to you Ariel, thank you for the memories. MLB reports: The handling of pitchers and pitching staffs has evolved over the years in baseball. Once upon a time, pitchers were expected to complete all or almost all games they completed. Slowly the use of relievers expanded. From there, the invention of pitch counts started- 100 approximately per start. Innings limits, per start and per year are now prevalent. Teams are getting wiser as to watch the innings pitched in a year from the time a pitcher is a rookie and most create yearly caps. The strategy of handling pitchers seems to get stricter every year. Tony LaRussa and Dave Duncan are often credited with the modern game use of pitchers. The notion is for starters to pitch approximately 5 innings, with relievers for innings 6-7. The setup man pitches inning 8 and closer for the 9th. The above standard is adopted by all teams at this point in the MLB. But is this the right system? It is hard to know. Pitchers today seem to be stronger than ever and throwing less innings, yet injuries are at an all-time high. 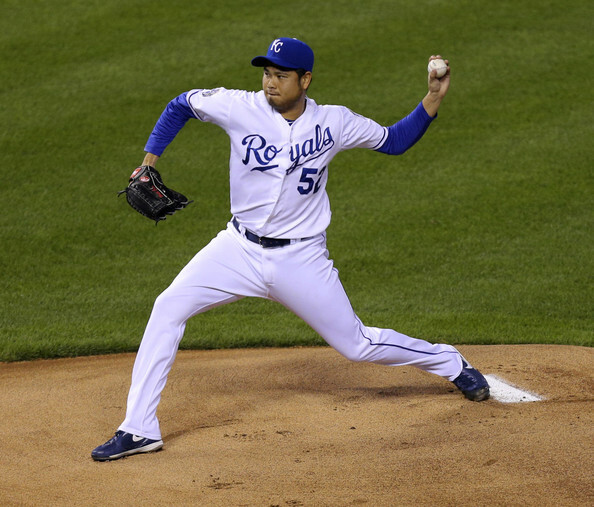 From a results standpoint, are MLB teams maximizing production from their pitching staffs? That is the million dollar question. Now I throw another hat into the ring- let’s try playing Cuban baseball instead. Perhaps its time for a shift. My suggestion is a variation of the Cuban style of baseball, but I will simplify it for this article. Here goes the idea in a nutshell. A team would employ the closer for the first 2 innings of a game. The start of a game is the most crucial, to set the tone against the opposing team. Rather than start the traditional starting pitcher, who often takes time to get warmed up, start the closer who knows how to come into a game cold. The closer would pitch the first two innings and hopefully make short work of the opposing team. From there, the starter would come in, after warming in the pen during the game, for innings 3-9. If problems start near the end of the game, bring in the 2nd closer for inning 9, or 8-9 depending on need. The above system is based on the Cuban style of ball. Watching the previous WBC in 2009, the Cuban system would have Aroldis Chapman starting the game, going anywhere from 1-4 innings. From there, Pedro Lazo, the workhorse starter would pitch the rest or close to the rest of the game. Imagine today for the Cinci Reds pitching Chapman to start a game, Volquez pitching innings 3-8 and Cordero with the 9th. How scary would that be? The opposing team would have no rhythm to start the game and would never likely get going from there. Baseball has evolved over time and will continue to do so over time. Nolan Ryan is trying to get more innings under his pitchers’ belts to build stamina and endurance on the Texas Rangers. I like the system personally, but it doesn’t work for everyone. The concept I propose above is not my invention but based on the Cuban game. All I am saying is that perhaps its time for a change in the MLB. It will make the game more exciting and perhaps even revolutionize it…yet again.